If you’re around either the Paola area or the Lawrence area, and are craving some really good pork in the form of great Mexican food, you really need to check out “El Potro Mexican Café”! This place first opened in Paola over a year ago, and has been doing so well that they recently opened a branch in Lawrence. 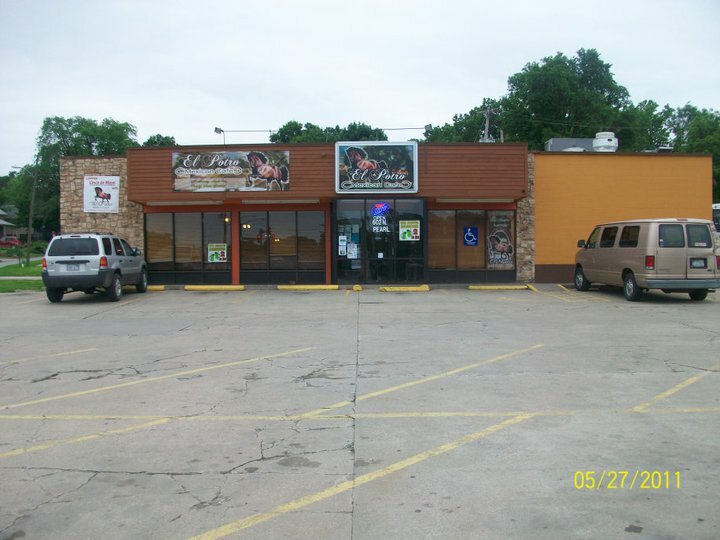 In Paola, you can find El Potro at 602 North Pearl, (intersection of Pearl and Baptiste) or in Lawrence, you can find them at 2351 W. 31st Street (around the intersection of 31st and Iowa). 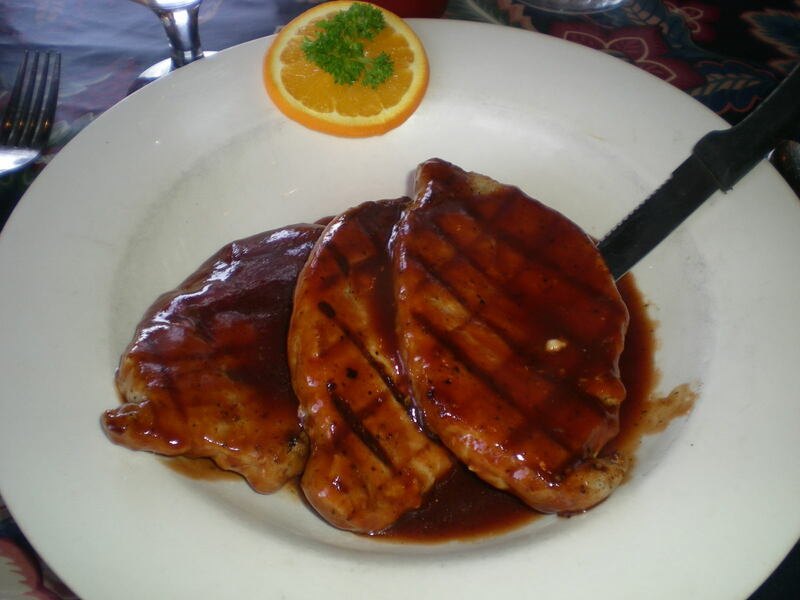 You can also find them on Facebook, which allows you see the full menu and more picture of the place, inside and out! The food at El Potro is a lot closer to “authentic” than a lot of “Tex-Mex” places I have been, but not so authentic that you need to worry about whether you’ll like it or not. I know “authentic Mexican” scares a few people off, but this is not to be feared! On my last visit, I had, as you can see from the picture, the “Verde Pork Tamales”. I love tamales to begin with, and these did not disappoint. The masa was tender and moist, the chunks of pork were tender and lean, and they had the perfect amount of salsa verde in with them. 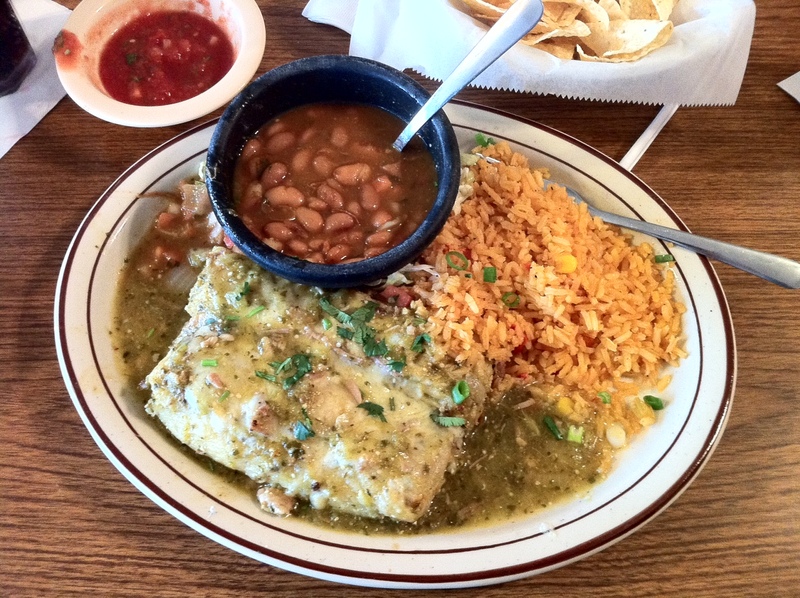 If you’re not a tamale fan, but want some pork from El Potro, consider trying the “Carnitas Enchiladas Verdes”, the “Tacos El Pastor” (pork tacos), or a pork carnitas stuffed chimichanga! This was my 4th visit to El Potro, and I have never been let down by them yet. The prices are affordable and the service has always been great at the Paola location (I’ve not eaten at the Lawrence branch yet). If that’s not enough, you also get a complimentary bowl of their delicious “Queso Potro Especial” cheese dip to go with your standard chips and salsa. In case you’re wondering (and I know you are) the chips and salsa are also very good at El Potro, which is something that cannot be overlooked when choosing a Mexican restaurant! I think it’s about time we did another giveaway here. What do you think? 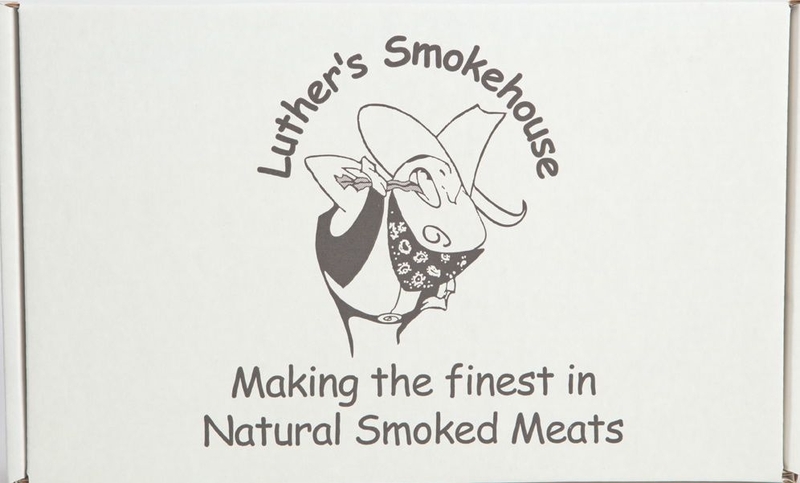 Up for grabs this time is a a jerky gift box from Luther’s Smokehouse in LeRoy, KS. 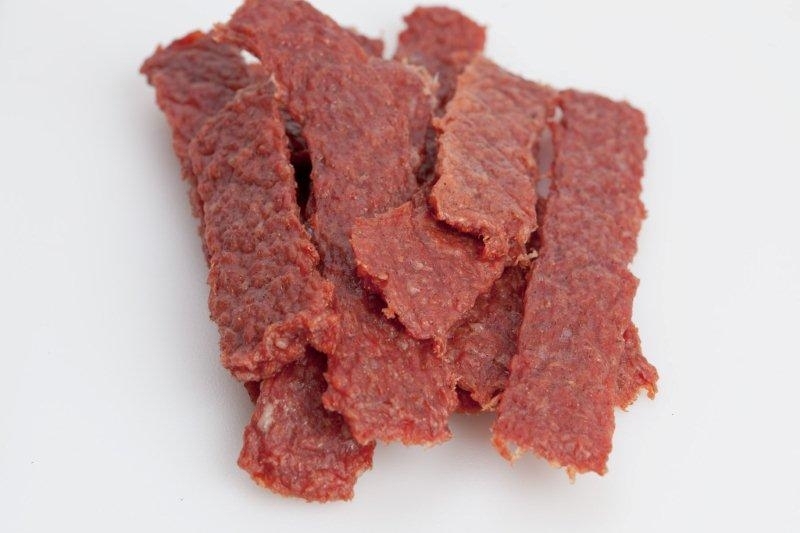 We featured Luther’s pork jerky on this blog last year, and we thought some of you might like to give it a try! We’ve seen it recently in some convenience stores in our area, so be sure to keep an eye out for it in your neck of the woods, too! 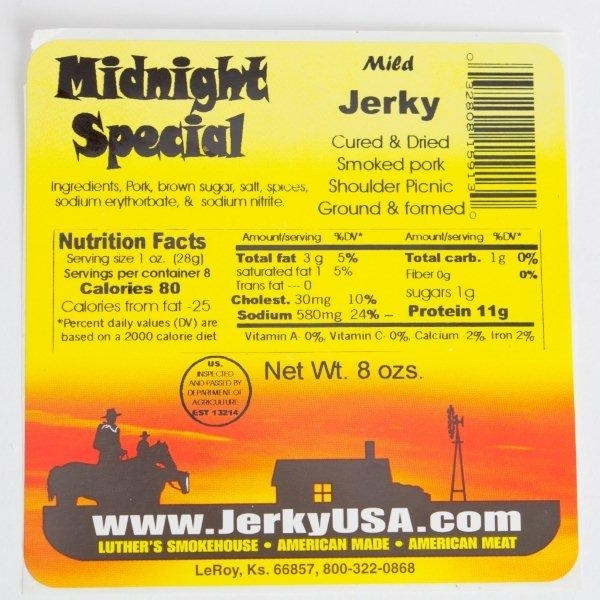 The gift box will be full of THREE POUNDS of porky deliciousness in jerky form, in both the “Cowboy Jerky” and “Midnight Special” flavors. I’ll randomly draw a winner next Thursday afternoon (April 26). 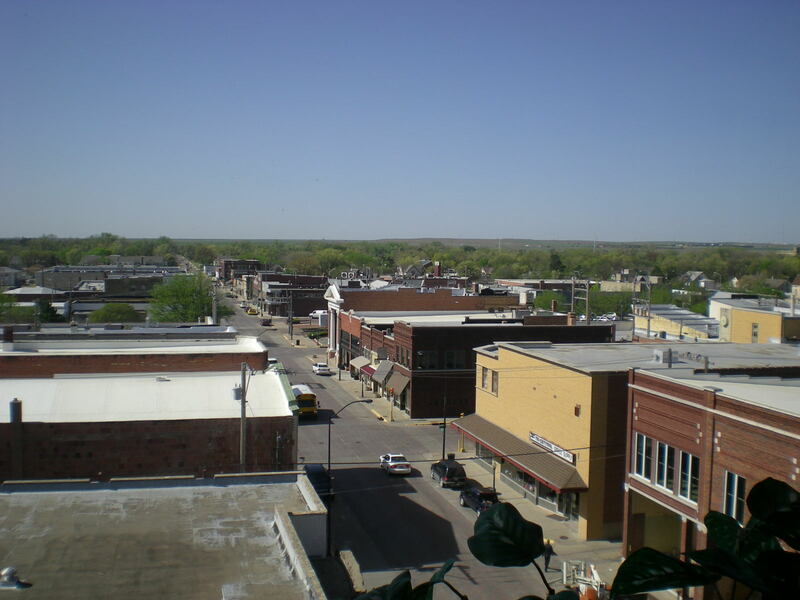 If you’re in the western half of Kansas and you want to experience an atmosphere that is truly unique, I would suggest Rooftops Restaurant in Hays, Kansas. 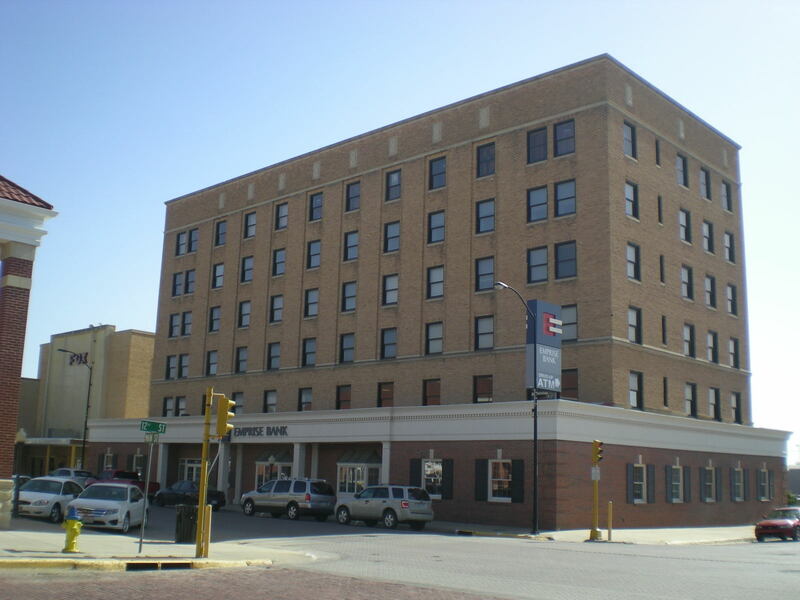 As the name implies, this restaurant is located on the sixth floor of the Emprise Bank building. From their many viewpoints, dressed up in Italian Villa style, you can gaze out over downtown Hays, southwest across Fort Hays State University and eventually off into the windswept prairie. I’ve had the opportunity to eat here twice, and both times I’ve had the place nearly all to myself. If you want to eat a pleasant and relaxing meal, this is the place. The very idea of this is in stark contrast to Hay’s wild and rough cowtown days. 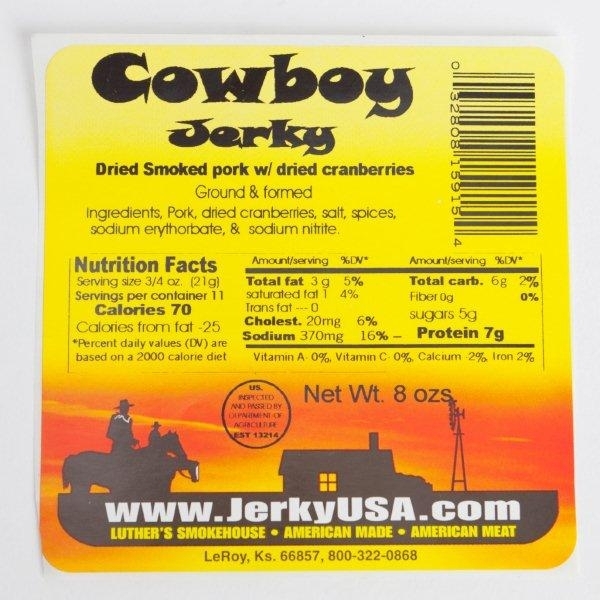 It occurred to me as I quietly dined on my Jack Daniels pork meal, that 150 years prior, there were whiskey fueled gunfights with the likes of Wild Bill Hickok in the streets below me. Those same streets below now make up the historic Chestnut Street District. If you like unique shopping, art and dining opportunities, this eclectic district is for you. Until next time – Swine and Dine!